In a world where nothing is what it seems - Always trust in your heart. 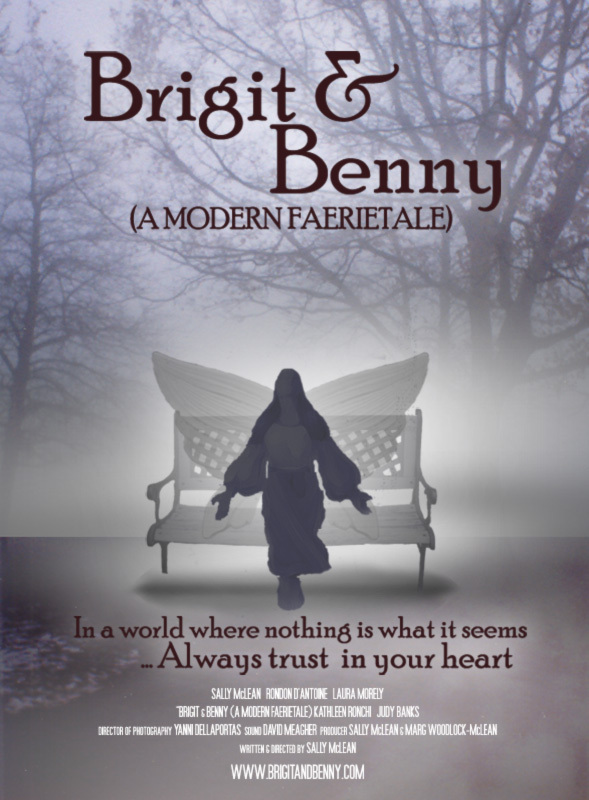 "Brigit & Benny (a modern faerietale)" is based on the themes of diversity and acceptance. It is a story about not judging things (or people) on how they look. Of re-discovering the world through the eyes of a child. Of learning to live without fear or mistrust of that which we do not understand. Of embracing the gift of compassion. While told in a modern setting, "Brigit and Benny (a modern faerietale)" is based on the principals of ancient fable, reminding us that although the times have changed, the essential goodness of people has not ... if only we could stop, just for a moment, to listen to the child in all of us. Brigit & Benny (a modern faerietale) went onto screen at The Festival of the Spirit (US). See the IMDB Listing for the film here.